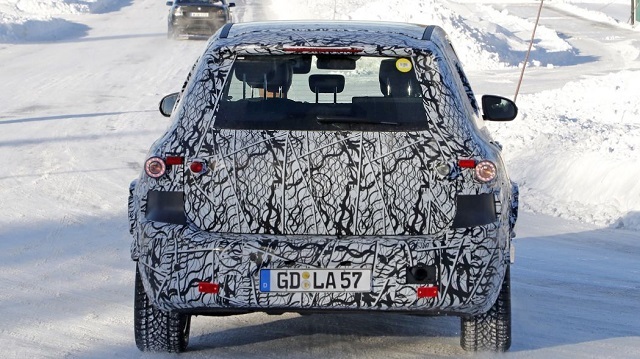 Mercedes’ new boxy crossover SUV has been spied testing yet again. 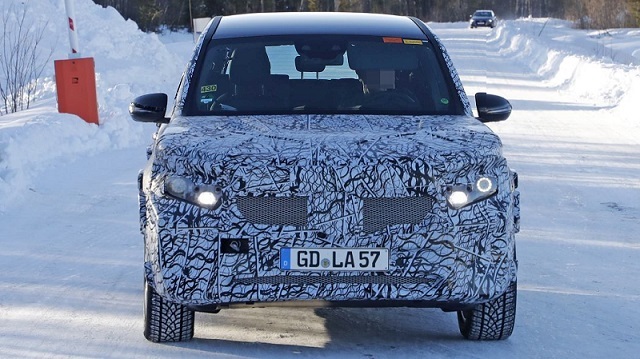 At first glance, there’s nothing suspicious about that, but when we take into account that the model is going to be introduced in the coming days at Auto Shanghai 2019, the totally camouflaged GLB isn’t something we have hopping to see out there in the snow. 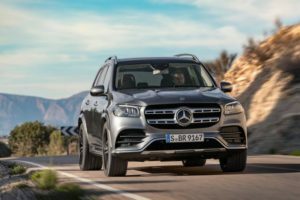 Yes, the company’s AMG department has a pair of their own version in mind as well, but that’s not the case with the SUV either. Instead, this one appears to be running on electricity. Bearing in mind that the German automaker offers a larger EQC crossover and a smaller EQA hatchback, this one should be named the 2021 Mercedes-Benz EQB. Even though we have to mention that we are not completely sure about the model’s year, the most probable scenario is the official debut late next year. Essentially, there’s not much work to be done before the completely electric GLB arrives. The bulky crossover rides on the MFA2 compact vehicle platform suitable for Mercedes’ latest technologies including electric powertrains. Power-wise, the company will most probably use one already available option. It’s going to be an updated two-motor system that’s been available with the smaller EQA. We are not quite sure how much power there’s going to be, though, the SUV will most likely be able to travel around 310 miles before stops again at charging station. That should be enabled by a 60-kWh floor-mounted battery. Styling differences between the regular and EV GLB model are not big, but they are evident. We are not sure why, but this one gets sets of new headlights and taillights. Also, it has no exhaust tips at all, while there should not be any kind of air intakes at all. 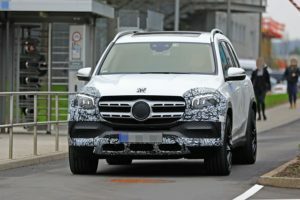 In addition to the 2021 Mercedes EQB, the German carmaker is working on a PHEV version of the SUV. According to our insider, this one is going to use an AWD setup that combines a turbocharged 2.0-liter gasoline engine with dual electric motors.